It's the season of giving and we're giving you some really cute ideas on how to primp your packages! It's the most wonderful time of the year and whether you're nearly done with gift wrapping—in which case we salute you!—or haven't started yet (same) we want to make your holiday season a little more colorful + fun! Whether you have packages big or small we picked some of our favorite + creative ways to wrap them. 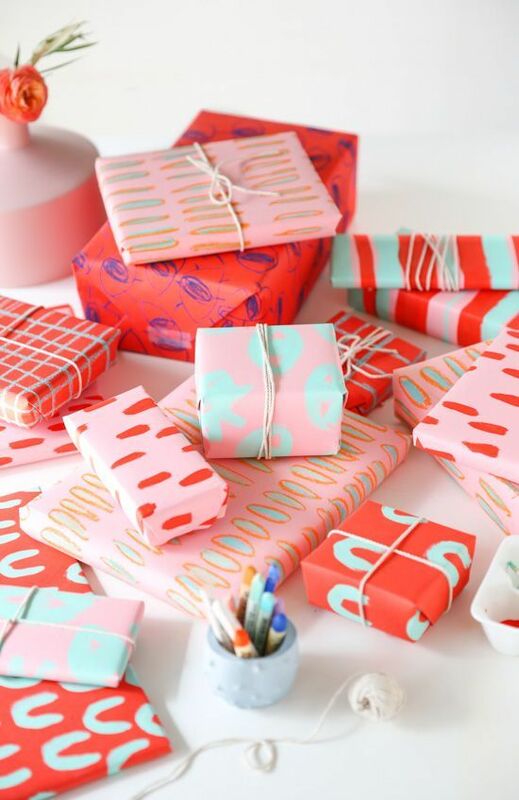 Need a little gift wrap inspiration? We rounded a few styles of wrapping that are really inspiring us this season! Want more?? Check out our Gift Wrap Inspiration board on Pinterest. We are inspired by some of the gift box sets we made earlier last month in our Gift Wrap workshop with Yelp Cincy! They're easy + colorful + oh so cute! Need a cute + functional way to wrap a gift? Use a reusable tote, like this striped one from Baggu, turn the handles into a bow and add a cute gift tag! Voila! 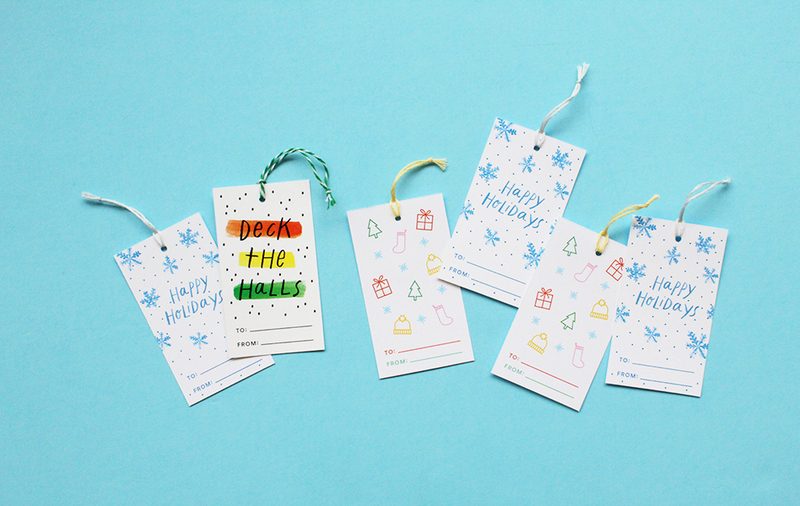 Download our free printable gift tags here! Just print the sheets at 100% scale and trim along the crop marks. Show us how you gift wrap with #handzyholiday !